Digital gear needs protection from excessive heat when working in summer weather. For these conditions, you may want to use a thermal bag to keep your gear from overheating. 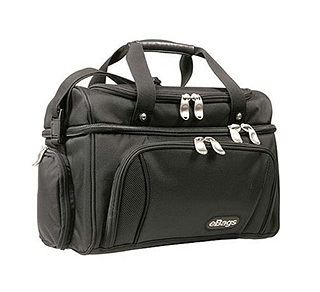 I like this eBags Crew Cooler because it has a second compartment on top where you can put your cool items, yet keep them separate from your gear in the insulated bottom compartment. 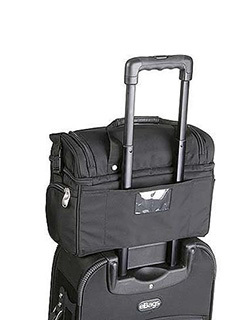 There are plenty of zippered pockets for accessories, dual handles, shoulder strap, and lots of storage (15 x 8.5 x 10.5 inches), yet the Crew Cooler only weighs 2 pounds. The eBag isn't cheap ($39.99 on Amazon), but if you want a professional insulated bag that's also good for food storage, then it's worth the investment. 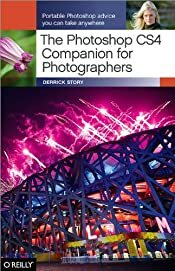 Two books that show you how to take better pictures, then process them with ease. Good photography starts with good capture. 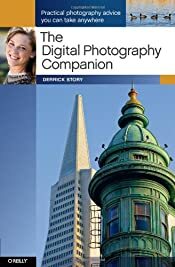 The Digital Photography Companion gives you creative tips and technical advice for taking top-notch digital photos in a wide range of conditions. In other words, this book will help you make your pictures look better than everyone else's. Choose the right camera (DSLRs, compact cameras, or hybrids) and learn all of the typical features they offer, such as face detection, image stabilizers, diopter adjustment, focus assist light, RAM buffer, and more. Advice for a variety of photographic adventures, such as capturing existing light portraits, creating powerful landscape images, and shooting fireworks, underwater portraits, infrared photos, and more, along with lighting and filter tricks. Complete advice for sharing your photos, converting from color to balck & white and more, plus an overview of photo management applications, from Adobe Photoshop Lightroom to Apple iPhoto. You also get an appendix with Quick Reference Tables, as well as other useful tables scattered throughout the book. But don't let your creativity end when you click the shutter. Become just as masterful on the computer as you are with the camera. 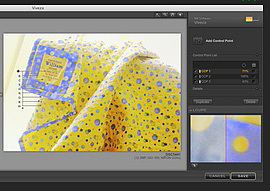 The Photoshop CS4 Companion for Photographers is your complete workflow guide from uploading the images to the computer, to sharing them with the world. Many photographers, even the pros, feel overwhelmed by all the options that Photoshop provides. Fortunately, The Photoshop CS4 Companion for Photographers spotlights only the critical tools you'll need most often in one compact reference. Professional photographer and bestselling author Derrick Story teaches you how to quickly and efficiently organize and edit your photos without compromising the originals. By having The Digital Photography Companion and The Photoshop CS4 Companion for Photographers at your fingertips, you have a complete course in photography at your disposal. Post a mini review below, and Derrick Story will send you a signed author plate for each book you own to make them official signed copies. Let us know what you think about either of these books. Post a mini review right here. Ring flashes can produce great lighting for portraits, either by themselves or part of a multi-lighting scheme. Expo Imaging recently released the Ray Flash: The Ring Flash Adapter that "creates a three-dimensional shadow-wrapped look around the subject. Because ring flash light originates from a circle around the lens, it produces a virtually shadowless look on the front of your subject, while producing a soft even shadow around the edges." To put this new device through its paces, Strobist recently published a full review of the Ray Flash. The bottom line? "...if you are mobile -- and especially if you like the TTL thing -- you have to give the Ray Flash strong consideration. And this design clearly took a lot of time and effort to produce. Not to mention a some very expensive mold design." "For the people for whom it makes economic sense, the cost will be returned many times." "I suspect that the Ray Flash will be a hit with the hipster wedding shooter crowd. It takes up almost no room in the bag, then you just slip it on when you wanna do the funky bride shot. You can do it at each wedding -- it's always new to them, right? This thing could make some cool reception pix, too, if you are into that kind of thing." Adobe just released an update to Photoshop Express that includes integration with Flickr and "Save As" functionality. Plus, there's a new embedable player that allows users to post their Photoshop Express slideshows to sites such as Facebook, Myspace, and personal blogs. You may have caught wind of this update earlier in the week when some sites reported about it. But Adobe had to pull it back on May 7 because they discovered a bug. By Friday, May 9, they had everything cleaned up and ready for users. According to a report on the Stock Artists Alliance web site, "Orphan Works is back. Last month, the U.S. Congress held Hearings, making clear that the wheels were again in motion. Last week, it became official when new versions of the Orphan Works Act of 2008 were introduced by both the House and Senate." If you're not familiar with the Orphan Works issue, it essentially means that if your copyright information gets stripped out of the metadata of your photo, and someone wants to use that image, they may be able to do so if it is determined to be an orphan work. SAA is looking to protect the rights of photographers by making sure this legislation isn't too loose. They have a nice piece on the issues surrounding this legislation. This is something for all photographers to be aware of, not just stock shooters. 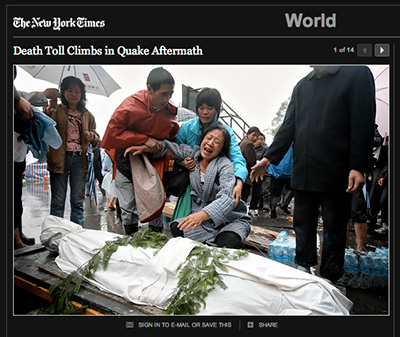 Once your images are in the wild, you want to be sure you're given credit for the pictures you take. And if there is money at stake, you need to be part of that conversation. Learning about the Orphan Works legislation is important for all of us. Digital Story readers have a terrific new sponsor supporting our virtual camera club -- Red River Paper. And they've created a special landing page for TDS members where they'll offer promotions on their excellent inkjet photo stock. One of the things I like about Red River is that they sell directly to photographers, and they have an excellent customer service attitude. Plus the prices are fantastic! And they are one of the leaders in creating photo papers that are made from 100 percent post-consumer recycled content. This is a winning combination for TDS members. Be sure to check out the Photo Paper Sample Kit for $7.99 with free shipping. Great to have you aboard Red River. David over at Strobist might be able to light circles around me, but one thing we share in common is our passion for the Canon PowerShot G9. David wrote in the article, New Canon Powershot G9 Makes My G7 Feel Like Unloved Stepchild, "I don't write about specific cameras very often on this site, but this one bears a closer look. 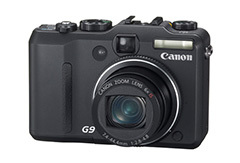 The G9 is of particular interest because of it's flash-friendly features, among other things." One of those "flash-friendly features" is that you can sync a Canon G9 up to 1/2500th. 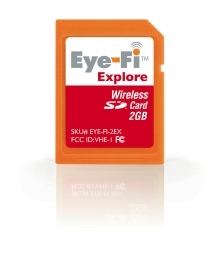 This is very handy for high speed flash situations when you want to control motion. You can read all about it in his post, How To: Sync a Canon G9 at 1/2500th of a Sec. It's pretty fun stuff.